I was just thinking to myself, “Fisto? He’s so far away!” Well apparently he isn’t as 2012 is coming to a pretty quick close. 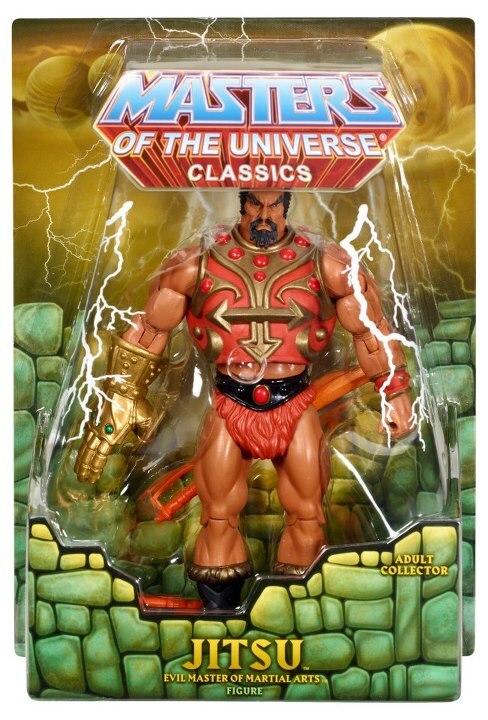 We’ve just finished our Black Friday and Cyber Monday extravaganzas over at Mattycollector.com. 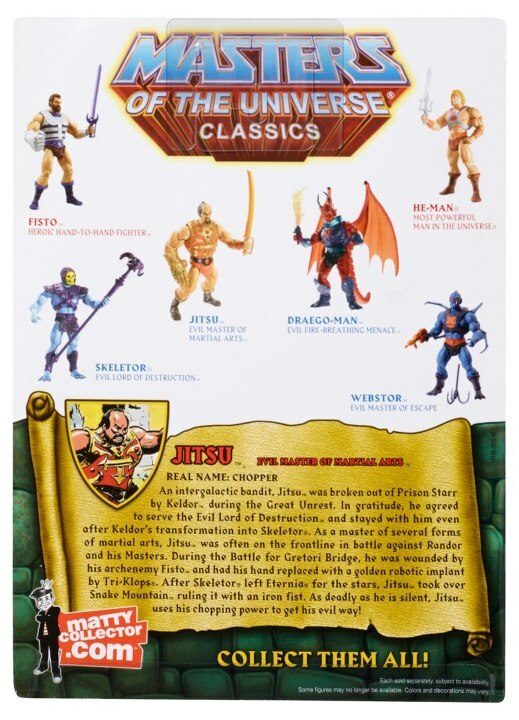 Now it is time to wait for the final Masters of the Universe drop of the year, and it’s a big one: Mosquitor, Procrustus, and Granamyr. In one month we say goodbye to the final $20 figure (Mosquitor) and the last giant for the foreseeable future (Procrustus). Granamyr is of course an optional buy … but you will grab him because how could you miss out on the iconic pot-bellied dragon? So while we do not have a defacto carded Netossa, we do have the officially carded pictures of Jitsu (or Chopper, his real name). Check out the pictures below and I dare you tell me that 2013 is not going to be awesome.